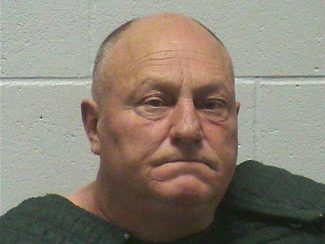 James Leo Hamrick, 56, of Dayton was sentenced on Monday, Dec. 4, after previously being found guilty of first degree murder with the use of a deadly weapon on a person over 60 and destruction of evidence, following a jury trial in Yerington in September. The Third Judicial District Court sentenced Hamrick on the murder charge to life in prison with the possibility of parole after 20 years. Hamrick was sentenced to an additional consecutive term of 15 years in prison with parole eligibility after five years for the use of the deadly weapon. Hamrick was sentenced to 364 days in the Lyon County Jail for the destruction of evidence charge which was imposed concurrent to the other charges. This case occurred on April 28, 2016, when Hamrick murdered Toni Marie Davis, 60, at their home in Dayton. Hamrick was at home alone with Davis for a short time before he killed her. Lewis Hamrick, brother of the defendant and husband of the victim, returned to the house in Dayton a short time later and discovered both Hamrick and Toni Marie Davis were gone. Davis never returned and she was reported missing to local law enforcement. The Lyon County Sheriff’s Office, detective division, and the Nevada Division of Investigations investigated the case. During the course of the investigation they were led to the naked body of Toni Marie Davis. It took nearly three weeks of searching and investigation before law enforcement found Davis’ body. Hamrick was arrested and charged with the murder and destruction of evidence for hiding the body. He also hid the murder weapon, which was a small caliber handgun. Jeremy Reichenberg and Brian Haslem prosecuted the case for the Lyon County District Attorney. The case was investigated by the Lyon County Sheriff’s Office and the Nevada Division of Investigations.